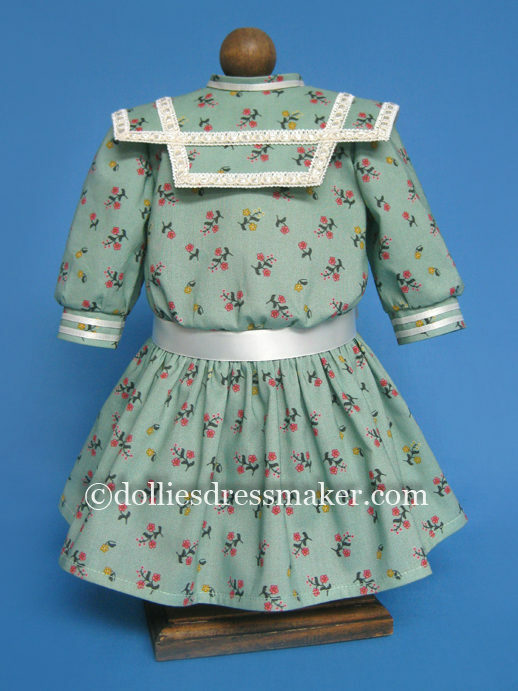 Green print dress for Samantha inspired by illustration in the book “Samantha Learns a Lesson: A School Story” (ORIGINAL VERSION). 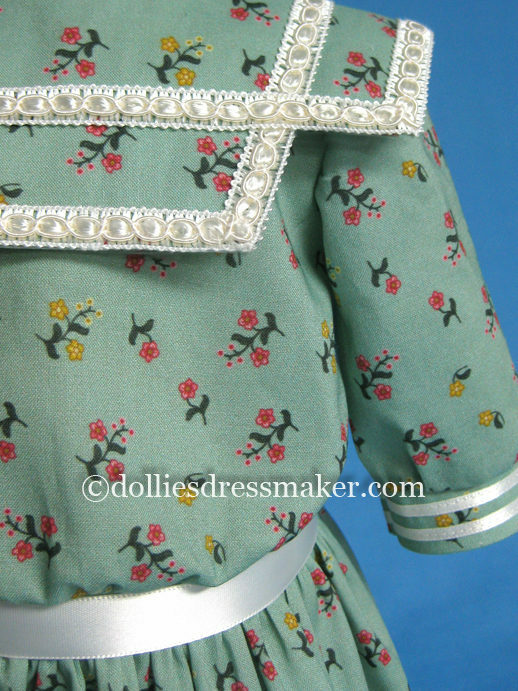 Custom fabric designed by The Dollies Dressmaker, using a 1904 floral sprig as the fabric motif. Hand applied gimp trim on collar for nicer finish. Two rows ribbon on cuffs. 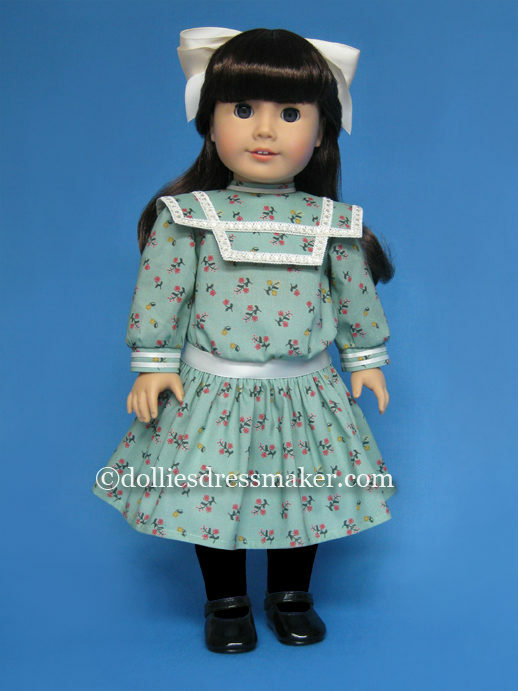 This dress is perfection on Samantha.The fabric choice and dress pattern are lovely together. The sewing is so well done. Thanks. 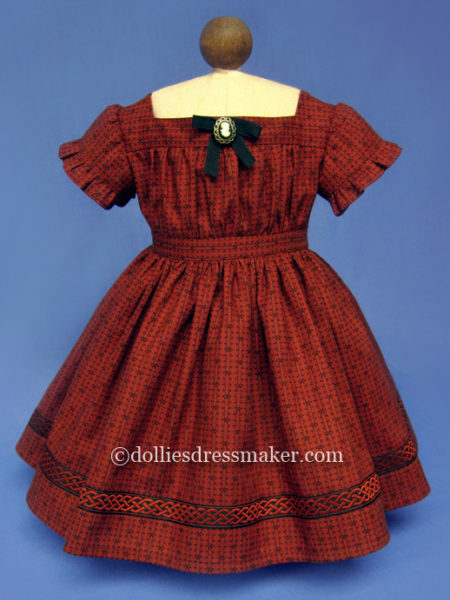 Beautiful – a great alternative to American Girl’s “special day dress” for Samantha (probably more authentic colors, too). Add a white ribbon for her hair, and you’re all set! I love Samantha’s new dress! It’s just adorable on her, so beautifully made. Such attention to detail and the fabric is perfect I am so impressed. Thank you! 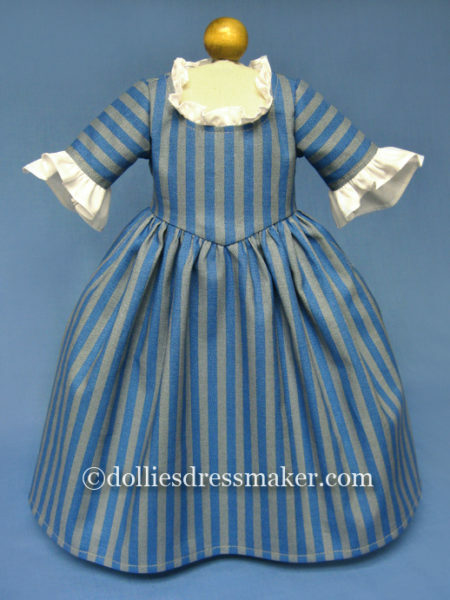 Such a lovely period dress, exquisitely made with lots of attention to detail. 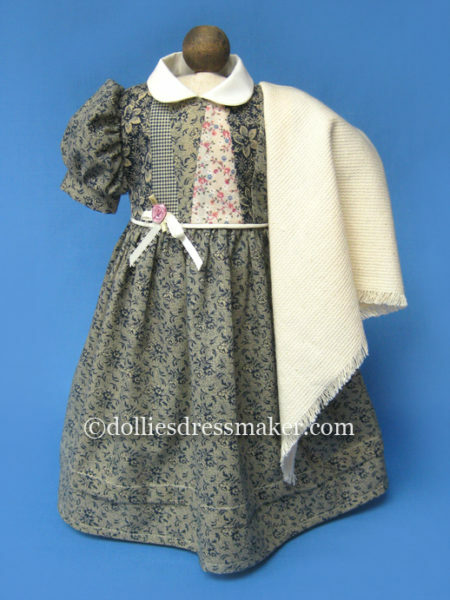 I particularly love the collar’s lace detailing, the drop waist, and belt which make this dress so much more period than the dresses AG made for this doll. 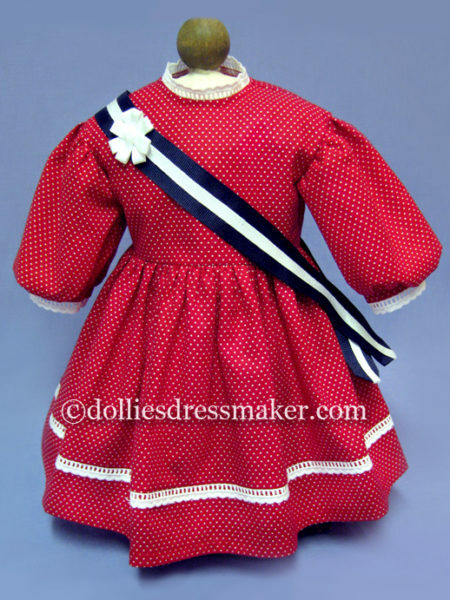 I love that the dress is tied to Samantha’s story so my granddaughters can bring to life the stories we read together. 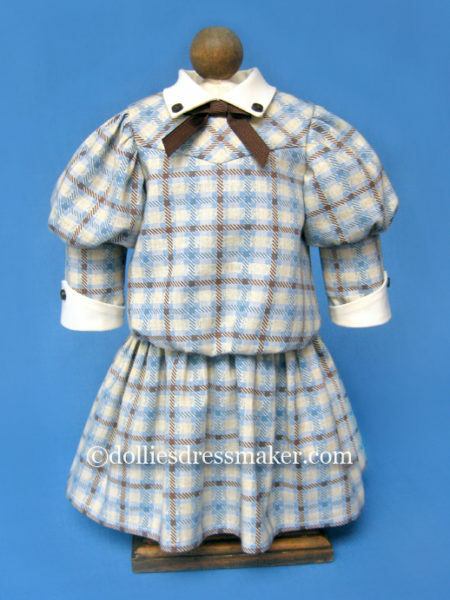 I hope Dollies Dressmaker makes more clothes for this doll.